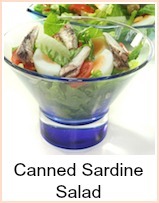 You can always make a meal from your store cupboard with canned fish. 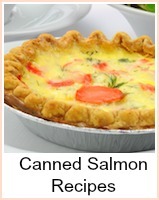 Click on the poster above to get loads of canned seafood recipes or try the super tasty canned salmon recipe here. I love canned salmon, it's so reliable unlike fresh salmon which can be a bit tasteless unless you've got really good wild salmon. I think fresh sometimes tastes a bit metallic unless you've got wild salmon. Most salmon you buy in the supermarket or fishmonger will be farmed - it's flabby as a result. 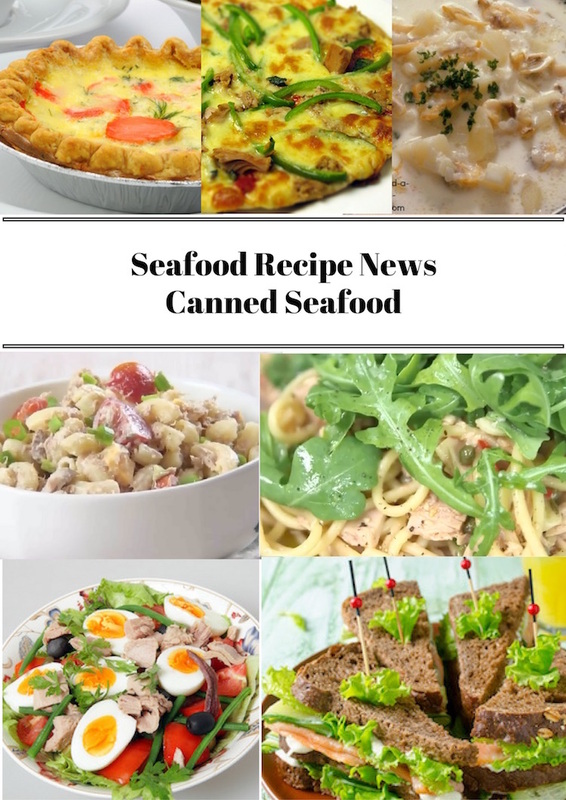 Tinned salmon is always reliable and if you're making a recipe like this, you can go for the cheaper pink salmon as opposed to red salmon. You can dress up fresh salmon with sauces - just pre-cook it and follow the recipe. Saute onion in heated butter until golden. Set aside. Drain salmon, pouring liquid into measuring cup. Add enough milk to liquid to make ½ cup. Mix together onion, salmon, liquid, bread crumbs, eggs, poultry seasoning, parsley, salt and nutmeg. Shape into 4 mounds and place in medium shallow baking dish. Mix together ½ cup milk, soup, lemon juice and paprika. Pour around salmon. Top each mound with 3 olive slices. You may substitute 2 cans (7 oz. each) tuna, drained, for the salmon. Use ½ cup milk for the liquid. 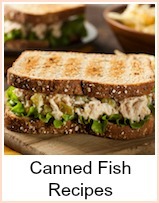 Canned seafood is so versatile and inexpensive. You can have a meal put together in next to no time out of your store cupboard.